Years of understanding of this domain, has helped us in presenting patrons with the superior quality of Plate Freezer. Used for protecting meat from getting dehydrated during refrigeration, the plate freezer is easy to operate and requires less power consumption. Their quick freezing efficiency, low maintenance and enhanced functional life, make the plate freezers highly demanded. 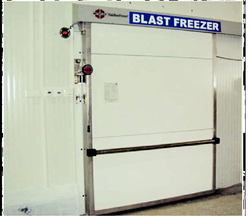 We are dedicatedly engaged in manufacturing and supplying high quality Blast Freezer. The offered blast freezers are manufactured using high quality components and other material that are sourced from trusted and reliable vendors of the market. All these freezers are demanded in the frozen food industry and many other sectors to rapidly preserve perishable goods. As an important entity of this domain, we present patrons with the best quality of Chiller Meat Freezer. 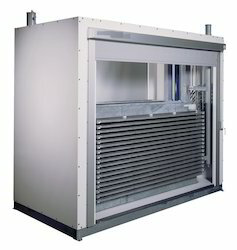 Used in meat processing industry, Chiller Meat Freezer is known for its less power consumption and quick chilling time. Based on their precise needs, our patrons can avail the chiller in meat plant in different technical specifications. 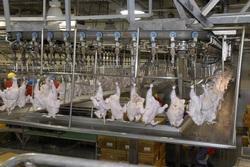 We take turnkey project of all types of Meat processing plant i.e Bofflo, Goats & Ships, and Chicken. 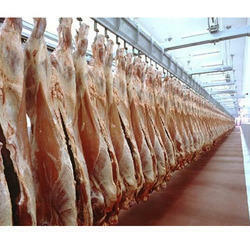 Looking for Meat Processing Plant ?